Charleston, May 3, 2010 — An ongoing oil spill caused by the explosion and sinking of the drilling rig Deepwater Horizon is top news throughout the United States. SECOORA, the Southeast Coastal Ocean Observing System Regional Association, has members contributing resources and expertise to understanding the impacts and movement of the spill and are being tapped by the media for their expert opinions on the impacts of this event. For links to the latest information, images and maps contributed by SECOORA members go to www.secoora.org. Many of these experts will gather for a meeting in Savannah, GA May 11-13, 2010 to plan for the future of coastal and ocean observing in the Southeast. The SECOORA meeting will focus on technologies and products that can help address fisheries management, declining water quality, coastal hazards, and climate change. The meeting will consist of panel discussions on the areas of ocean observation's role in marine operations, ecosystems, coastal hazards, and climate change. 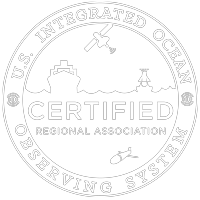 In addition, representatives from the South Atlantic Allia nce, the National Federation of Regional Associations, the NOAA Integrated Ocean Observing System (IOOS®) program, and neighboring Regional Associations will be presenting and providing expertise.